Deep in the heart of the Nevada desert, the brilliant Professor Popkiss and his colleague Dr. Baker created Supercar, "The Marvel of the Age." Capable of racing from the depths of the ocean to the edge of space, this extraordinary vehicle takes the heroic pilot Mike Mercury and his precocious sidekick Jimmy Gibson on a never-ending series of thrilling adventures. 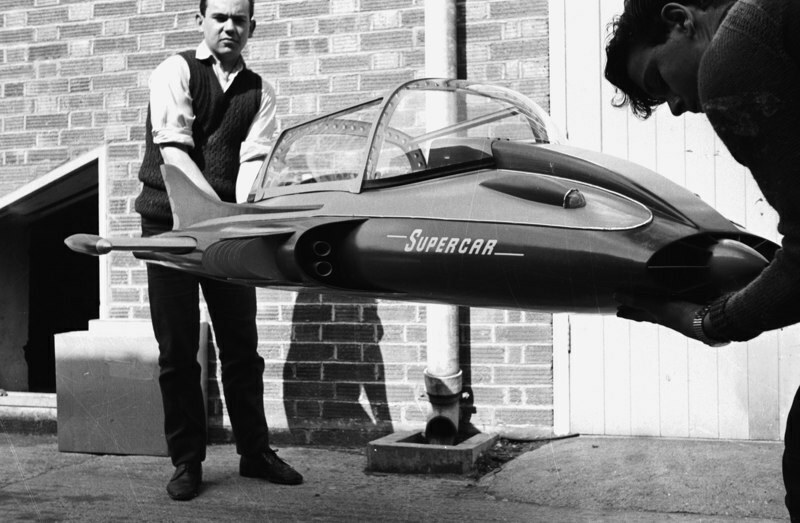 The first fully developed Supermarionation series from producer Gerry Anderson (Thunderbirds, Stingray), SUPERCAR established his winning formula of futuristic vehicles, high adventure, and advanced puppetry techniques. Now, all 39 episodes are collected in this five-DVD collector''s set. Each show is digitally mastered and restored and presented in its original broadcast order. It''s the marvel of the age! The full series of Supercar on DVD!